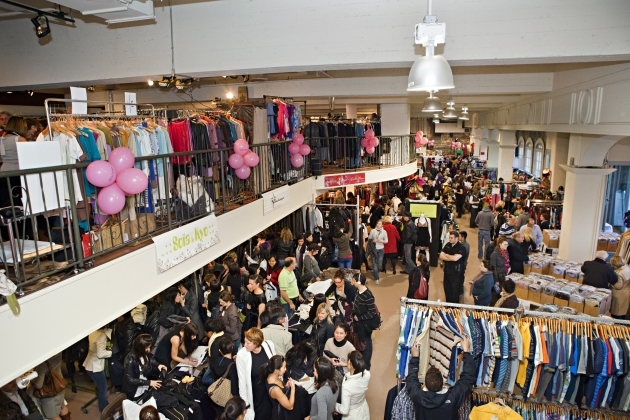 La Braderie de Mode Québécoise will be held from October 22 to 25 at Bonsecours Market (Old Montreal). It’s time to shop for coats and accessories as winter is coming! Over 130 Quebec Designers have answered the call to offer fashionistas exceptional discounts on their collections. Discounts between 50 and 80%! New alliances are created this year between designers. Message Factory bought OÖM Ethikwear! Both brands thus strengthening their position in Quebec and abroad. Rudsak, Mackage, Bijoux Caroline Néron, Mélissa Nepton, Annie 50, Iris Setlakwe, Schwiing, Matt and Nat and many others will be present!